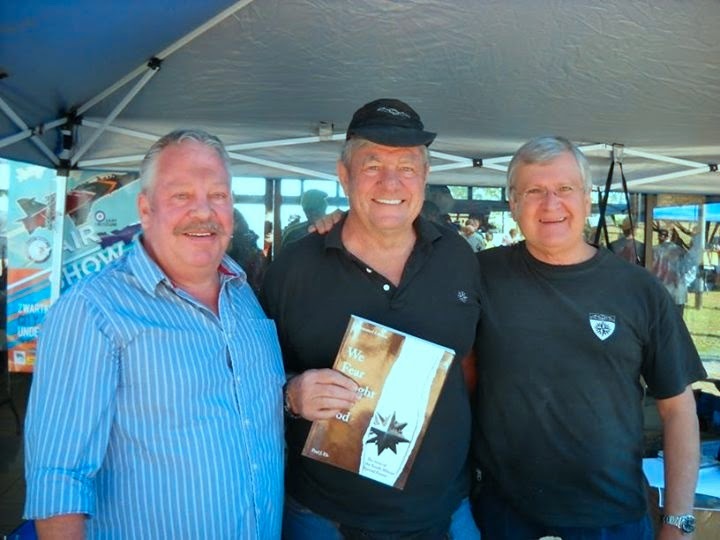 The annual Military Fair held at the Voortrekker Monument was attended by collectors, enthusiasts and families. This annual event provides opportunity for collectors and general public to purchase military related items from a collection of suppliers. 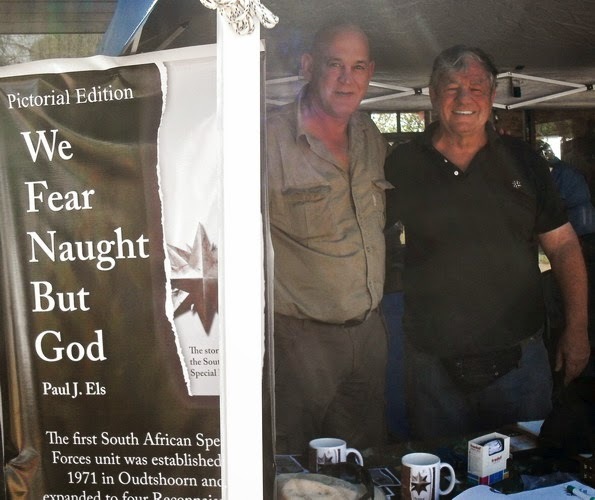 Paul and Manie was also present and they manned a stall selling military books from a number of writers. 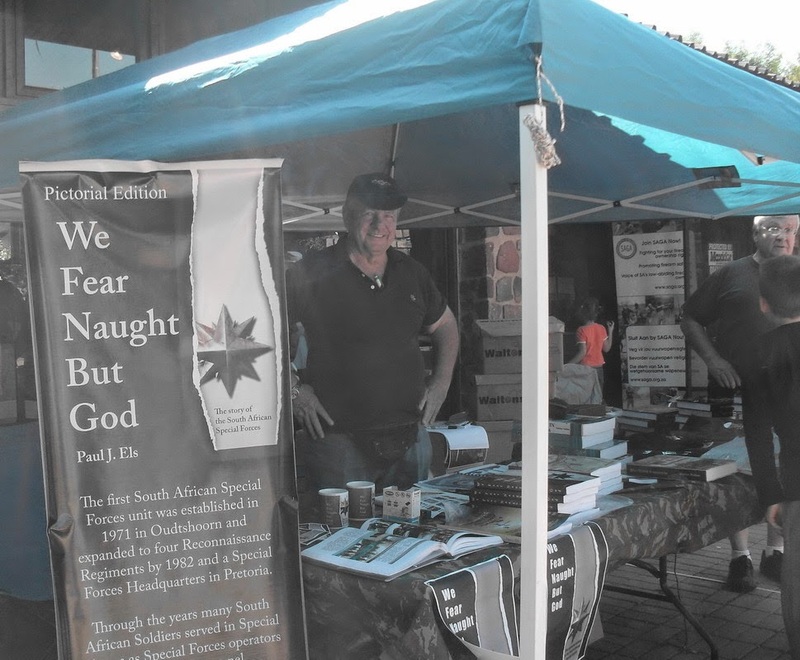 Shoppers on the day could preview the upcoming book by Paul at the stall. Also any buyers could get the copy signed by Paul with a personal message.